In the course of years we have been receiving lots of emails asking for advice on holiday planning and many of them are by people with kids. They want to feel the charm of the Greek islands and to combine it with a family vacation where everyone is happy and calm about their stay. Greece is kids-friendly. There is no island in this country where your kids are not welcome and where you cannot take them. But yet the steep alleys of Santorini and the bustle of Mykonos are not the best choice for a family with small kids, especially first-timers. Some people also find it frustrating to spend their holiday on an island because they feel "tied" and not able to leave any time they want if someone (and namely the kids) gets sick. Small isolated islands where ferries run just a few times weekly may be dream places for couples but not for parents of toddlers. Small but very lively, very picturesque and easy to travel and explore. Paros has daily ferry connections to mainland and an airport for domestic flights from Athens. 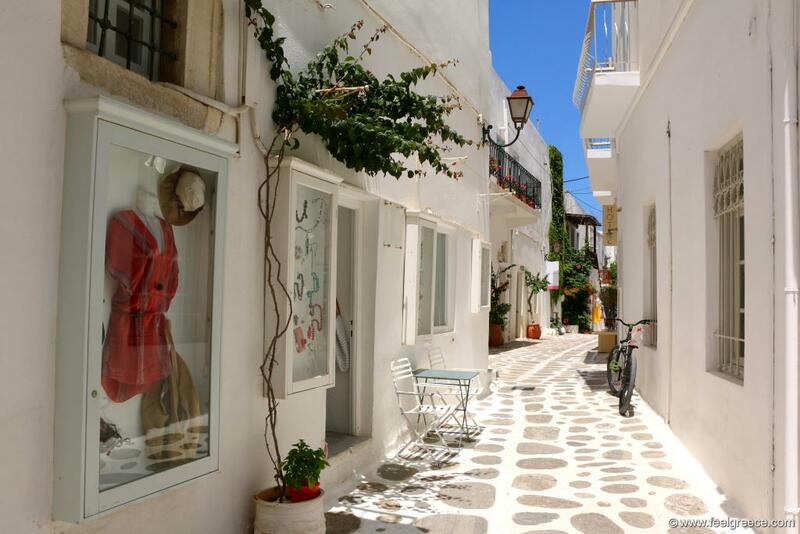 Unlike its neighbor Naxos where Cycladic architecture meets Venetian, Paros is entirely into the white-blue, in the original Cyclades-style appearance. 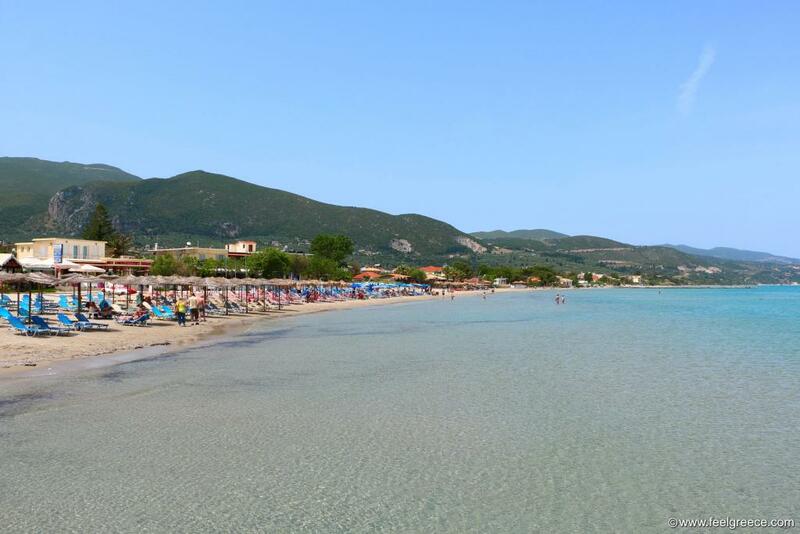 Staying in or around Naoussa and Parikia, the main villages, guarantees that none of the family will be neglected - they have sandy beaches, lots of places to eat, all kinds of shops and boutiques, bars and night clubs. The only thing that can irritate you is the north meltemi wind which sometimes raves over the Aegean sea in July and August. But the good news is that it is not necessarily present everyday and it cannot blow on all beaches at the same time, so if it is a great problem for you, just find a more sheltered beach. Compared to other Greek islands, Crete is like a small country and has it all. No need to worry about transfer issues, choice of hotels and beaches or lack of activities and things to do. The bigger problem would be to choose the area of your stay and make a limit of the to-do and to-see list. Moreover, the great diversity of services and the hotel competition can help you make your holiday very affordable or very luxury, whatever you search for. And while tourist season ends in September for other places in Greece, the season on Crete a bit more extended because of its southern location. We all know Zakynthos from the photos of the world famous shipwreck. But not all beaches of the island are like this - most of them have pure soft sand and very shallow water. So shallow that toddlers can freely walk in the sea around the shore and there is no chance of sudden depths or large waves to fling them down. For teenagers and grown-up kids there are various water sports and night clubs, and the whole family can visit the National Marine Park of Zakynthos where the Caretta caretta turtles nest their eggs or join the boat trip to Marathonissi island. You may have to compromise with the noise and crowds at certain resorts or just avoid going in the highest season. 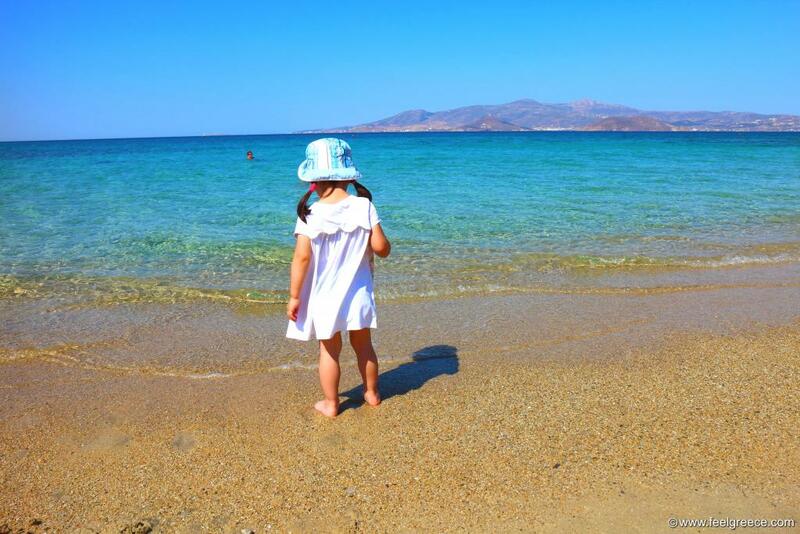 Naxos will not let any member of your family down, even if it is your first time in Greece. You can spend gorgeous days in the sun on any of the vast sandy beaches, and the lovely villages and historical sights of the island are at your disposal for a walk in the evenings. 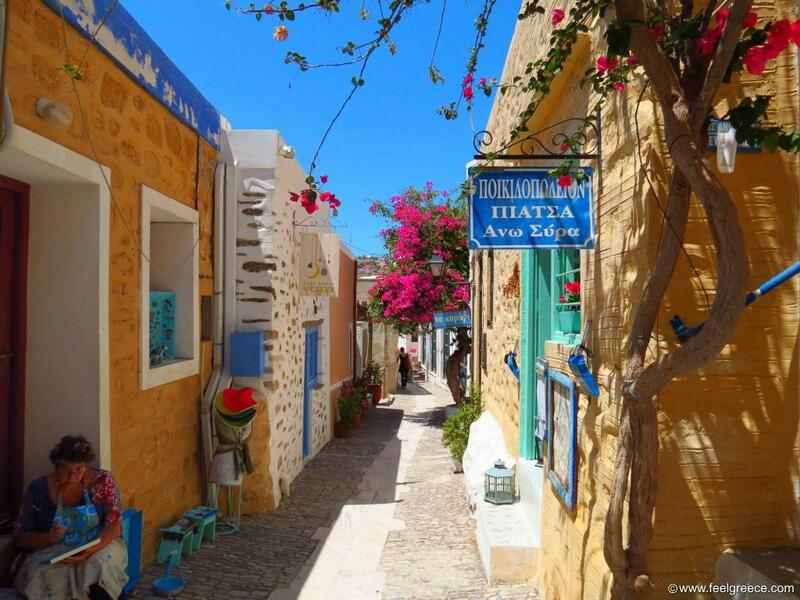 Busy Naxos Town offers an authentic Kastro, mixed Cycladic-Venetian atmosphere, promenade and multiple places to dine or shop. The island cuisine is also among the top ones of the Aegean sea, along with Sifnos and Milos. Is there something you may have to compromise with? 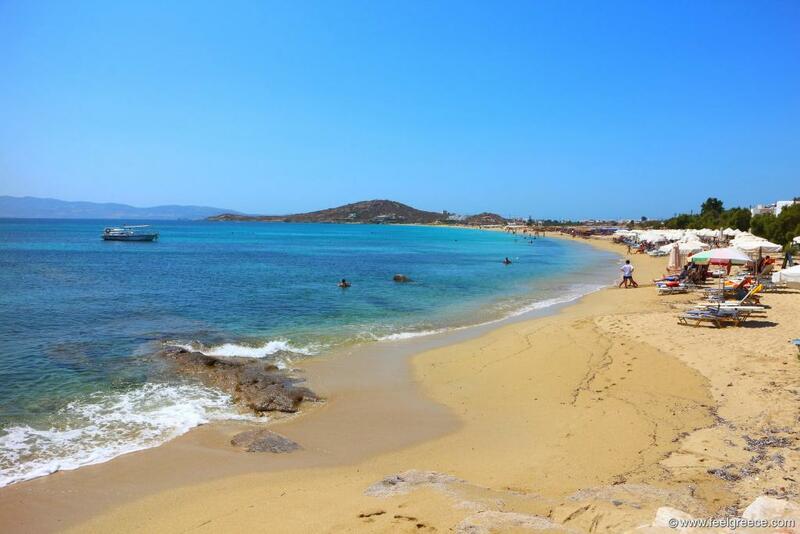 The same like on Paros - if the meltemi appears, change the beach for a day or two. The UNESCO listed Medieval town of Rhodes with its glorious castles and stone alleys is a place that both adults and kids would be glad to explore. There is no chance not to like any of its over 42 beaches, the fortresses with superb sea views or the authentic local cuisine. Take the kids to the Valley of the butterflies and have fun. And one curious fact - the average sea water temperature graphics show that the sea round Rhodes is one of the warmest in Greece, as in July and August it can reach over 28 degrees C (86 F). 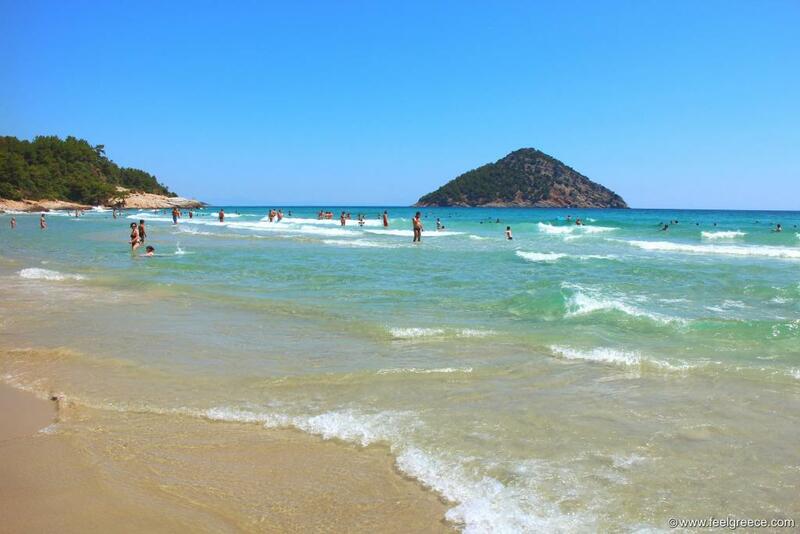 The North Aegean island of Thassos is more popular among Greeks and their neighbors from the Balkan countries. There is no airport on the island but it is very close to mainland and the international airport of Kavala. Regular ferry connections are provided, as in the summer there is a boat every 1 hour. Thassos is family-oriented and most of the hotels, even small guesthouses, have green gardens with playgrounds and facilities for the kids. The beaches are very suitable, too - they are mostly sandy and the island location is sheltered and somehow spared from winds. Kos is especially suitable for the fans of beachfront all-inclusive hotels - there are plenty of them on the island, from 3 to 5 stars category. The beaches are sandy, the roads are easy to travel and there are two aquaparks suitable even for little kids. The capital, Kos Town, is a nice seaside settlement with a well-preserved castle next to the port. 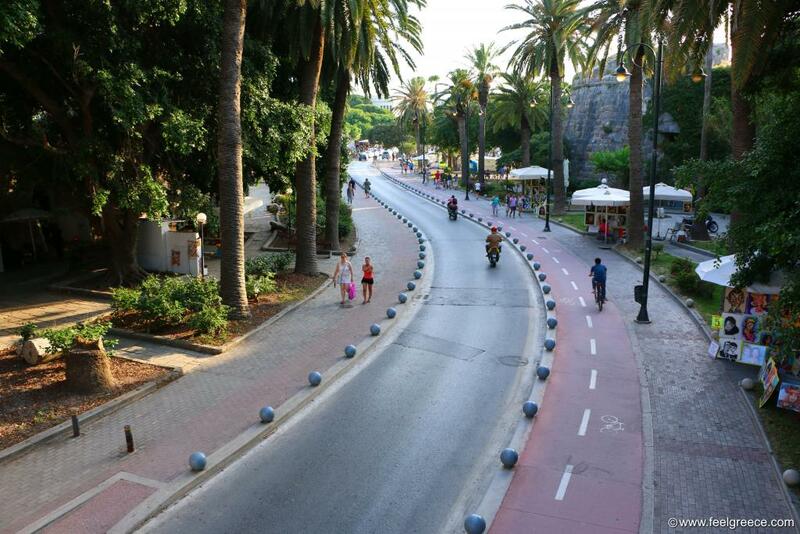 The central area has a large square, alleys closed for cars and a promenade with high palm trees. You can break the monotony of the holiday with a one-day visit to the neighbor islands of Kalymnos and Nisyros, there will be no murmuring during the boat trip as it is short. And in case you still wonder what else you can do, there are other historical sights on the island, as well as natural spa spot with hot springs gushing from the sea. This small at first sight island is not very popular and not among the top advertised Greek destinations but it can really, really surprise you. Imposing architecture, blue sandy beaches, great food and very colorful environment which is just screaming at you for a photo. Do not be mislead by the size of Syros as over 20 000 residents live on this small area permanently, enjoying their life in the cafes, restaurants, museums and theater in the majestic capital - Ermoupoli. The conclusion is that it`s not the place but you that make your holiday. Your kids will be happy on any island and any beach, and with some preliminary research you can plan all details to fit your perfect vacation.